Teaches modern navigation - backed up the traditional `pencil and paper` approach. 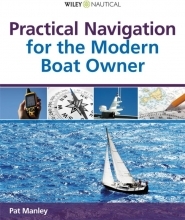 This book leads you through various aspects of navigation of your boat in a logical order. It includes topics such as: GPS - satellites, receivers and position; Shape of the Earth - distance and direction; and Finding your Position - where am I now? 1. The Global Positioning System. 2. Our Address on the Earth`s Surface. Appendix A. Deduced Reckoning and Estimated Position. Appendix B. Course to Steer. Appendix C. Tidal Heights and Tidal Streams. Appendix D. Tidal Planning and Plotting.